In the residential sector, companies offering software-based energy management products are often operating in a different world than home performance contractors. 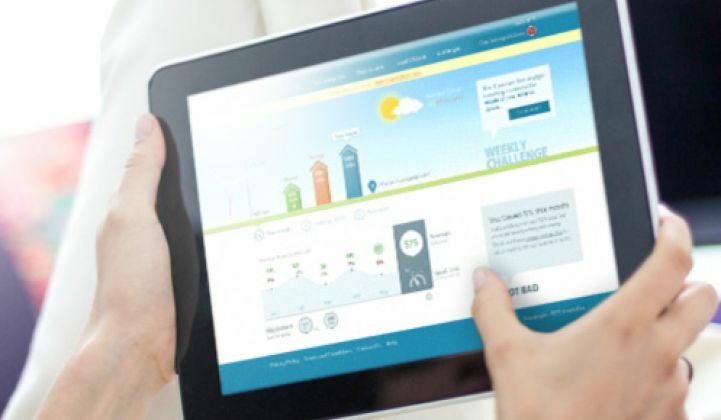 Opower, the most well-known intelligent efficiency provider, has become nearly a billion-dollar company through building an "engagement platform" that brings reliable savings of 2 percent across a utility's customer base. Meanwhile, the thousands of small, disaggregated contractors insulating homes and replacing windows can bring much bigger double-digit improvements, but struggle to scale beyond local markets and to offers methods of accurately monitoring savings. It's hard to make money in retrofitting homes. That's why most intelligent efficiency companies haven't touched the space, and why SolarCity ditched its efficiency business in favor of a web-based tool allowing it to outsource retrofits to local contractors. Can the two worlds ever come together? Tendril CEO Adrian Tuck thinks they can. And he's developing a plan to put Tendril in the middle. In May, Tuck described Tendril's new microtargeting platform designed to give utilities a new way to deliver energy services to homeowners. Along with sending messages to customers about basic efficiency techniques -- an offering pioneered by Opower and now offered by many different companies -- Tendril is looking to create a "broader set of interactions" that can get contractors in the door to implement retrofits. In an interview at last week's Grid Edge Live conference, Tuck described the company's latest approach to residential home energy management. "A lot of these services are organized around silos. As a consequence, you buy energy efficiency, solar or other individual services. We want to move in a direction that brings them all together with the customer at the center," said Tuck. What does that mean, exactly? Tuck wants to use Tendril's existing platform to help energy service providers bid for customers, while giving utilities a chance to make money on the transaction. After a long struggle with its business model that almost brought the company down, Tendril ditched its hardware-centric approach and focused on behavioral analysis that brings savings of 1 percent to 3 percent through simple mailers, emails and web alerts. The company has started winning contracts again, most recently to manage a customer engagement program for 100,000 of NV Energy's customers. In the wake of its near implosion, Tendril was "not invited to the table" many times for utility procurements, said Tuck. But the company is now winning roughly half of the contracts it bids for, and has started unseating incumbents in the bidding process. Tuck said utilities are once again interested in Tendril because of its vision for how to pull in more transactions beyond simple behavior changes. "When we talk to them about why we won [a contract], they understand that efficiency enables a broader way to deal with customers. One interaction can help create a broader set of interactions," said Tuck. Under Tendril's expanded model, which is still in the early pilot phase, the company would send a notification to a customer with detailed information on how they're using energy. With help from software it acquired from Recurve, Tendril could create a model of the home and offer different payback scenarios for equipment upgrades or distributed energy systems. Tendril would then use its brokering technology to allow vendors to bid on the service and provide a quote to the customer. The entire process is white-labeled so that it looks like comes from the utility. Tuck said the approach solves three big problems. The competitive bidding creates a true market and eliminates the perception that utilities are choosing contractors. It also allows the utility to make money off the transaction if completed, giving power companies an incentive to offer new services. Finally, he believes it will make customers feel like utilities are "on their side." "The utility gets paid, we make a market and the consumer feels empowered. This is Tendril's view of how this business gets cracked," said Tuck. 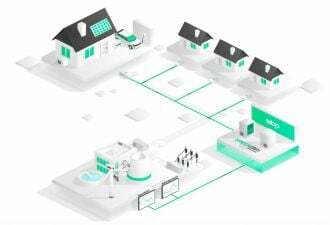 The platform is somewhat similar to SolarCity's "energy explorer" service that connects efficiency contractors to homeowners. But unlike SolarCity, Tendril wants to put the utility at the center of the transaction. It already has millions of customers that could feed into the system, assuming it scales up. And as Tuck explained in a previous interview, solar providers like SolarCity could eventually compete for new customers through Tendril. It's still very early for this new model. So far, Tendril has only found a few utilities willing to start pilots. It's also unclear if revenues from brokering energy services can make up for lost electricity sales. But Tuck believes it's an important way to get utilities more connected with the homeowner and less afraid of selling services that cut into the bottom line. "This passes several levels of 'sniff tests,'" said Tuck. "We think we've cracked the code." Tendril's plan is seemingly unique from other residential intelligent efficiency companies. Every firm operating in the space is firmly focused on the concept of "customer engagement," but each has a different approach. Opower is attempting to expand by moving into behavioral demand response, managing the customer billing side of solar programs or brokering the sale of smart thermostats. C3 Energy is firmly entrenched in the data-analytics side, and thinks more information is the way to encourage customers to get more efficient. And firms such as Bidgely, PlotWatt and Pulse Energy think that disaggregation -- that is, using submeters and pattern recognition software -- offers an extremely targeted solution that can bring double-digit savings in the residential and commercial sector. In Tuck's view of the world, data should be used not just for visualization and simple behavior changes, but also for delivering "hard products" to homeowners through the utility. "We ultimately think the market is going to move in that direction," he said.